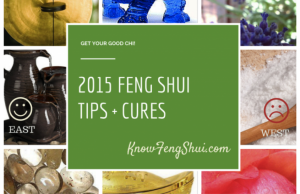 Does your home need Feng Shui? Feng Shui is an ancient Chinese technique that was developed to harness the art of equilibrium and stability, bringing good luck to dwellers. Believers are of the view that all land and objects are alive and filled with an energy called ‘Chi’. Feng Shui is about balancing these Chi energies to promote spirituality and inner peace among people in their everyday lives so that they can find inner peace and good fortune. A good feng shui house is one that attracts good energy, nourishes inhabitants and channels good energy throughout the whole house. From creating good quality air to getting rid of the clutter in your environment, if you want to feng shui a home, or are looking to buy a new house that already has good feng shui, there are some simple, basic guidelines to consider. The front door, or the main entrance, is very important in feng shui, because that’s where a house gets its Chi, or energy nourishment. So the stronger, healthier and more balanced the front door is, the stronger and better the quality of energy available for those who live in the house. Read this article, “What Is A Strong Front Door in Feng Shui” for more details. Feng shui has to do with Yin (passive energy) and Yang (active energy). Yin is feminine, represented by that which is slower, softer, flexible, and feminine. Yang is masculine, which is faster, harder, and rigid. Part of balancing you home is being able to identify masculine and feminine design inclinations. Having more of one over the other creates an imbalance. Is a room in your home leaning too much to one side? Try adding some of the opposite energy to create balance. The goal is to create harmony in your interior spaces to promote a healthy and lovely living environment. If you’re interested in learning more about how to Feng Shui a home, you might want to check out “knowFengShui.com,” or the post “Feng Shui 101: Getting Started With the Basics of Feng Shui” on the website Inhabitat.com. If you’re interested in finding the perfect home in Napa Valley in which to create a sense of harmony, please contact me at 707-738-4820 or email me at [email protected] for my confidential “off market” properties. They include wineries, vineyards, estates and homes in Napa, Yountville, Saint Helena and Calistoga. The inventory is extraordinary and each and every property has spectacular views. I look forward to helping you find your dream home or selling your property in this beautiful part of the world.